This smart strap can turn an old mechanical watch into a smartwatch and promises to offer up to 10 days of battery life on a single charge when it ships in mid-2015. 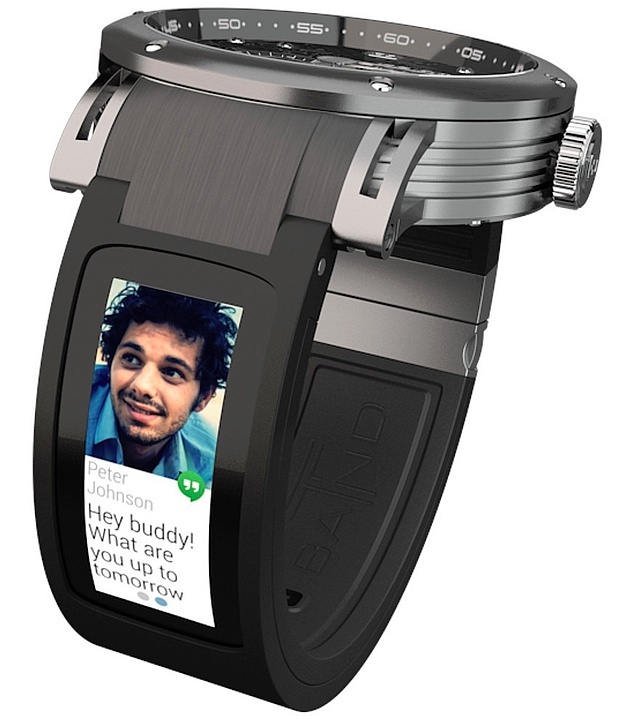 Kairos Watches launched their now popular smartwatch after a successful crowd funding campaign on Indiegogo. Now they are trying to raise funds for a smart band that can turn a regular watch into a smartwatch. With 24 days left until completion, this campaign managed to raise 58 percent of the $50,000 USD goal already. The Kairos T-band uses a proprietary mobile operating system for now and connects to smartphones via Bluetooth. The suggested retail prices start at $199 USD for the ND, $249 USD for the HD, and $299 USD for the OD. Kairos also sells watches and bundles that include a watch and a T-band and the price of such a combo can climb to over $1,100 USD. For details and early-bird prices, please check the Indiegogo campaign page.